The Federation works to support the certification process of Modern Apprenticeships in Scotland and hosts MA Online 2 which has been designed specifically for Scottish Certification requirements. Working in partnership with the UK Commission for Employment and Skills (UKCES), The Federation shares the belief that a sectoral approach is the best way to create the conditions for increased investment in skills which will, in turn, drive enterprise, create jobs and deliver sustainable economic growth. MA Online 2 is a web based system that is designed to enable access for training providers (MA Centres) or employers to request Modern Apprenticeship completion certificates. • Receive requests for Modern Apprenticeship registration and certificates from learning providers & employers. • Review submitted requests and evidence provided and either approve or reject, with appropriate reason/s, certification requests. • Print and issue Apprenticeship Completion Certificates, providing that all of the current Modern Apprenticeship framework requirements have been met. This guidance manual has been designed to take you through the registration and certification processes of MA Online 2. Registration Tabs – these will only appear if your Centre has been set up to use Pending Registration. 1. Pending Registration – All apprentices will be created with a status of Pending Registration which will have to be changed by your Certification Body before the apprentice can be put forward for certification. 2. Rejected – View and update apprentices rejected for certification. 3. Payment Pending – View which apprentices certificates are still to be paid for (if applicable). 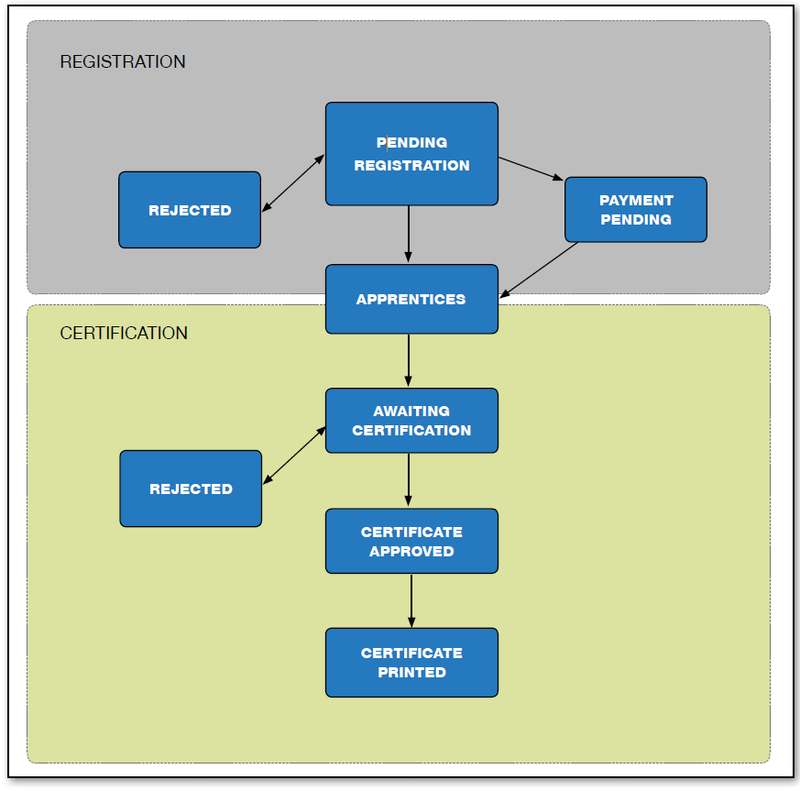 Certification Tabs – these will always appear in order to certificate apprentices. 4. Apprentices – View, Add or Bulk Upload apprentices, search for and edit apprentice details. 5. Rejected – View and update apprentices rejected for certification. 6. Awaiting Certification – View apprentices awaiting certification. 7. Certificate Approved – View apprentice certificates that are ready to be printed by the certification body. The numbers in brackets, on each tab, indicates the number of records currently active within each of the tabbed categories. ADDITIONAL OPTIONS (along bottom of screen). 8. Top – Takes you back to the top of the current screen. 9. 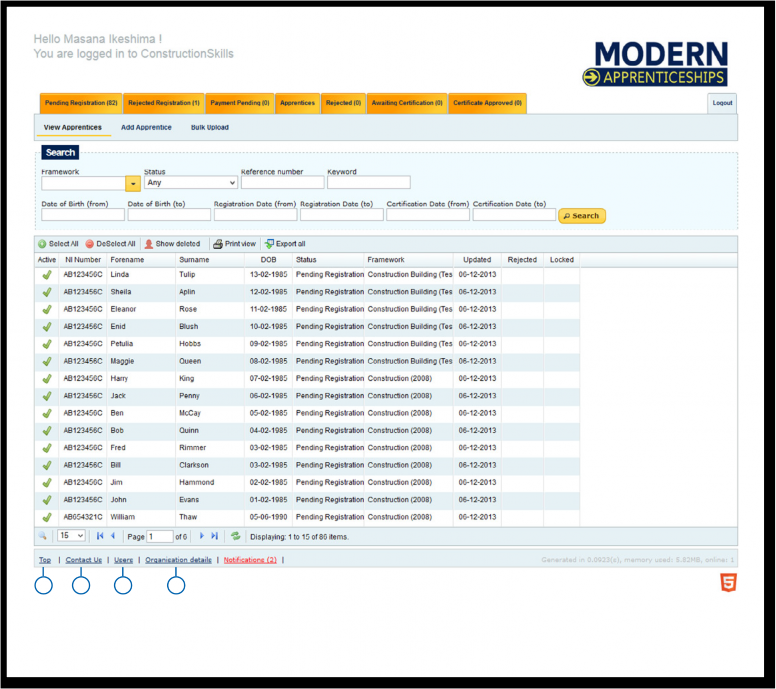 Contact Us – Contact details for the Federation, managers of MA Online 2. 10. Users – Add and edit users within your organisation (function available for Centre Admin only). 11. Organisation details – View your organisation details (function available for Centre Admin only). the Apprentices Tab holds all apprentices no matter what their status. If your Centre is set up to use Pending Registration and choose to use Bulk Upload they will appear in the Pending Registration tab as well as appear in the Apprentices Tab. There are two sides to using MA Online, Registration and Certification. If your centre is not set up for Pending registration than you will start the process at the Apprentices tab. If you are required to go through Registration then the apprentices will automatically start as Pending Registration. Once the apprentice has been sat in this status for at least one day the CBs will look at the apprentice’s record and will either accept or reject the registration. If the record is accepted the record will either move to Payment Pending or Apprentices. This will depend if the CB require any payment to be made at this point. You will need to contact the CB to discuss how and when payments are made. If you are not required to go through Pending Registration then the apprentices will start the process from the Apprentices tab. 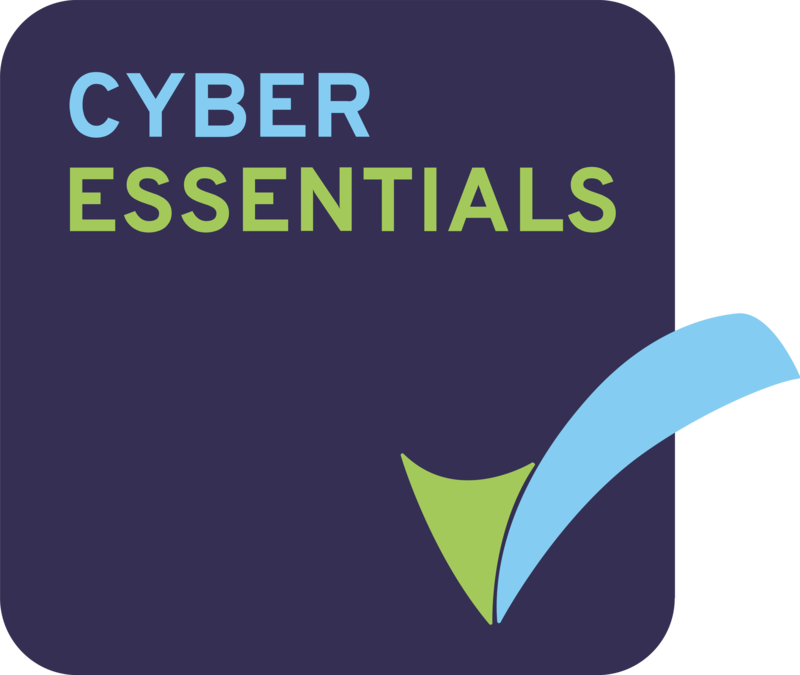 Once the apprentice’s record is at the Apprentices status they are ready for you to load Certification Evidence as it is achieved by the apprentice which will save time at the end of the MA. Once all the components of the MA have been achieved by the apprentice, the appropriate evidence loaded to MA Online 2 and the apprentices record is completed you are able to submit the record to Awaiting Certification. Here the CBs will be able to accept or reject the apprentice for certification. If the record is rejected you will need complete any corrective action and resubmit the record. If the CB accepts the certification request they will process the record to Certificate Approved. Some CBs may at this point require payment to be made before the Completion Certificate is printed other CBs may require payment to made once the Completion Certificate has been sent. How do I check my computer meets the minimum specification? Please check to see that the computer you are using meets the following requirements below and has the features listed on the right set as enabled. This is to ensure that your use of this application is as efficient as possible. In order to process the amount of data and functions of the application, we recommend that your processor speed should be at least 1 Gigahertz (GHz). You will need at least 2 Gigabytes (2GB) of System Memory (RAM) to ensure all the features of the application are working smoothly. As our application is designed for the web, the application is compatible with all the newer operating systems (Windows XP onwards, Lion OSX, Linux). Whilst we aim to build our application to work on the majority of web browsers we strongly recommend updating your browser to the latest version to ensure your computer is displaying the website as intended. If you are an Internet Explorer user please ensure you have the latest version. Users of Internet Explorer 7 will find some display issues but not fundamental to the functionality of the site, however we would recommend using Google Chrome or Firefox instead. In order to speed up the loading of a website web browsers and proxies (a system often used within organisations to manage all their users) use a technique called Caching which takes a snapshot of the website and shows it to the user when they re-visit it later. This is beneficial for websites that don’t often change, however this can be a problem for our application as it will show, for example, an apprentice’s old status thus causing issues. If you are unsure about this setting please speak to your IT department. 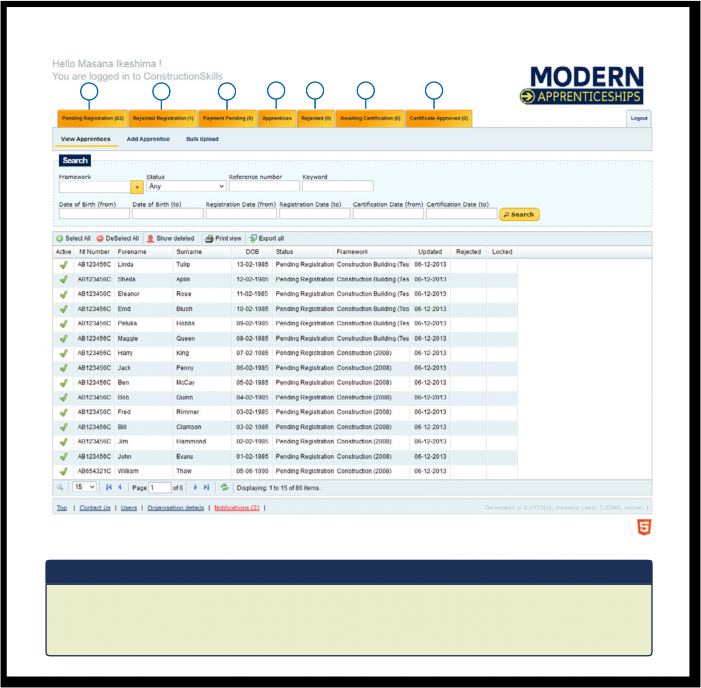 If you experience any issues accessing our application you may need to ask your IT Department to whitelist the website address http://modernapprenticeships.org. For more information or to contact the MA Online Support Team, please e-mail maonline@fisss.org or call 0300 303 4444. What browser do you recommend using for the MA Online System? For full functionality we recommend using Mozilla Firefox, Google Chrome and Opera. You may encounter some display issues when using Microsoft Internet Explorer. Please note we only support Internet Explorer 11 onwards. Is there a minimum specification for computers that you recommend to get optimum performance from the MA Online System? – No hard disk requirement. MA Online is a web-based system that requires no software to be installed on your computer(s). Please note that MA Online runs on PC and Mac, as well as on Linux.